WhereToFindCare.com Blog: How Can a Pain Clinic Help My Back? How Can a Pain Clinic Help My Back? You wake up most mornings with a dull ache in your lower back. Sitting up to get out of bed doesn’t work anymore—you have to roll out as cautiously as possible. You limp to the bathroom and kitchen, swallowing a pill and waiting until your body feels its effects before you can start your day. Sound familiar? This behavior is common for most people with chronic lower back pain, but it doesn’t have to be your life forever. Pain clinics exist to treat back pain and manage pain that can’t be treated. How? You don’t have to suffer in silence. 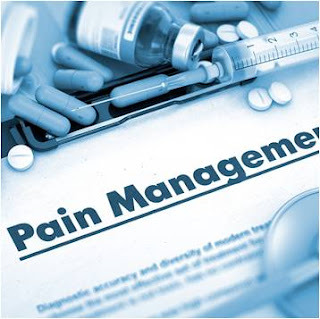 Pain clinics, otherwise known as pain management centers, are run by physicians such as psychiatrists, neurologists, and anesthesiologists to manage pain that otherwise would go untreated. Common diseases managed at pain centers like the Center for Spine, Joint, and Neuromuscular Rehabilitation in Nashville, TN, include arthritis, lupus, and fibromyalgia, and musculoskeletal ailments such as mysterious back pain, sciatica, and a host of others. The parameters of such clinics are usually governed by state law and may include regulation of medication prescriptions. Most clinics have to submit applications to the state government before opening so that the state can stay abreast of treatments issued in each clinic. What kinds of chronic back pain does a pain clinic treat? Back pain is a huge problem throughout the United States. Chronic back pain often has a source most doctors do not have treatment for aside from medications or surgery. Pain clinics strive to address such back pain without relying entirely on medication. In fact, the team of physicians and clinicians assigned to you at a pain clinic pay close attention to your medicine intake, ensuring that you do not go beyond the dosage needed to keep your pain at bay. They also employ alternative treatments like yoga, cognitive behavior therapy, and massage to keep your pain at a livable level. 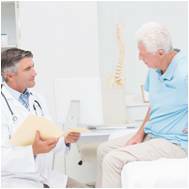 Unexplained back pain or back pain caused by degenerative diseases does not have a cure, but pain clinics strive to address the pain anyway. Core strengthening regimes found in yoga and Pilates are especially helpful for treating back pain, as is chiropractic. When you enroll at a pain clinic for chronic back pain, you can look forward to a few different things. For one, you will be evaluated just as you would be in any physician’s office—you’ll encounter questions about medical history and symptoms. 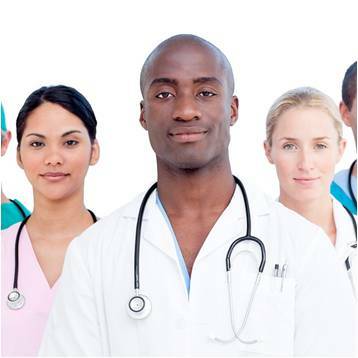 After determining your diagnosis, a team of physicians and clinicians will be assigned to you, and you will meet with them to determine the best treatment system to address your pain. The therapy plan assigned to you will be specially tailored to your needs and circumstances. For example, if you are triggered to become anxious every time your pain reaches a certain level, cognitive behavior therapy (CBT) might be one of the treatments made available to you in order to help you better live with pain. For back pain, a pain clinic team may promote treatment by a chiropractor, acupuncturist, massage therapist, and yoga instructor, along with medication to dull the pain enough to make it through each day without being stressed out by your pain level. Have you ever been to a pain clinic for chronic back pain? Chronic back pain is no joke—it can detract from your quality of life in huge ways, especially if no doctor you have encountered has been able to properly diagnose it. Try a pain clinic to see if you can’t find better strategies for living with back pain. Have you ever visited a pain clinic for back pain? We and our readers want to know your experience! Leave us a comment now.